Through Petals Flowers Wollongong, Australia you are able to send a huge range of premium quality flower bouquets, arrangements, roses, and more to be delivered to Wollongong and Wollongong's surrounding areas and throughout Australia. Beautiful flowers delivered by local florists to Wollongong! Send beautiful fresh flowers or a gift basket to your friends and loved ones in Wollongong today! Petals Network can same-day deliver your gift to Wollongong and all major localities in Wollongong if you place your order with Petals before 12pm (Monday to Friday) and before 10.30am (on Saturday). Sunday orders to Wollongong are not guaranteed. To Thank Someone - Have you visited someone's place recently and they treated you like royalty? Has someone done you a huge favour and you have really appreciated it? What about that nice lady that fed your cat for you when you went on holiday last month? Wouldn't it be nice to thank them with a flowering plant or perhaps a traditional bouquet... or even a gift basket? Petals Network has a network of over 1000 florists Australia wide to provide you with beautiful fresh flowers delivered same day. If you want to send flowers online to the Wollongong area, we will have a local Wollongong florist deliver the freshest flowers available to the door! We have a wide range of flowers, roses, bouquets gift baskets and arrangements to suit any occasion including a birthday, an anniversary, a new born baby, romance, sympathy, funeral, natives and flowers just to say thank you. If you want a local florist near Wollongong to deliver the freshest flowers to Wollongong. Need a florist in Wollongong Australia. in Petals is a leading online florist in Australia. We have a number of nearby florists servingWollongong. That means you can get fresh flowers delivered to Wollongong easily. Our flowers delivered to Wollongong will always be delivered by a local florist. 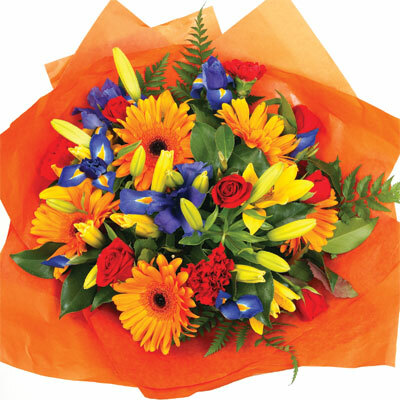 Its easy to send cheap flowers to Wollongong. We have flowers for all occasions at Petals Network Wollongong. Petals has a network of florists serving Wollongong, Australia. All Petals Network florists serving Wollongong are qualified. Our florists will make delivery of flowers to Wollongong, Australia. Need gifts to Wollongong? Visit Petals Network's gift web site, . Send gifts to Wollongong, Australia with Grumleys. Grumleys has a large range of gifts for all occasions including birthdays, anniversaries, celebrations and new baby congratulations.